Mothers and daughters share a special bond. 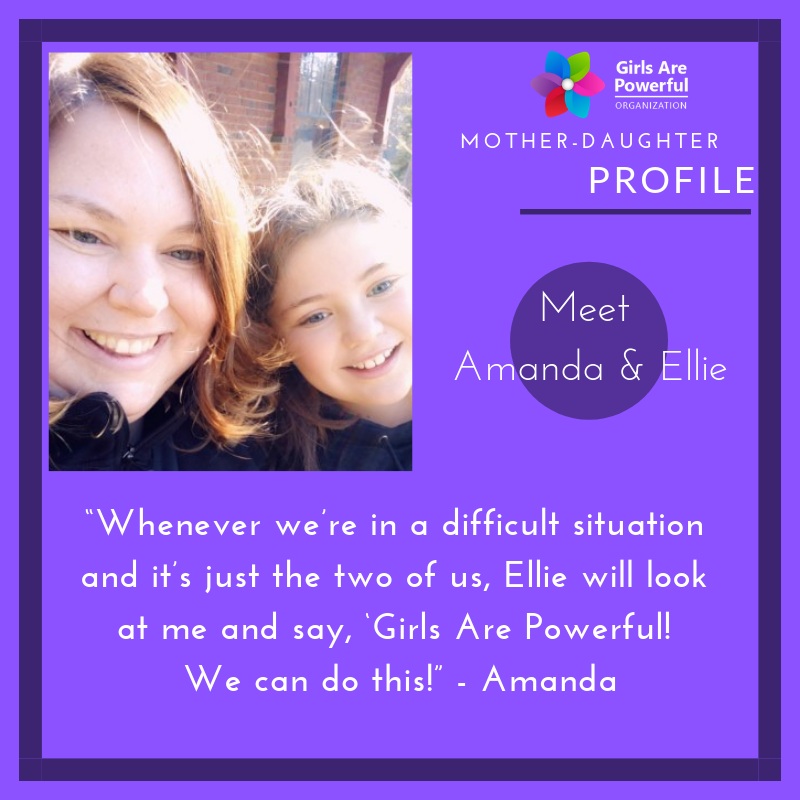 For Amanda and Ellie, joining Girls Are Powerful helped Ellie gain confidence and strength. The difference was apparent to Amanda, and both of them found that it’s helped strengthen their relationship at home. Ellie and Amanda, we’re so glad to have you as part of our GRP family!